Home EL GAMMA PENUMBRA Asia's Got Talent 2015 winner: Could it be El Gamma Penumbra? 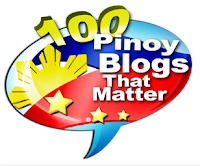 Asia's Got Talent 2015 winner: Could it be El Gamma Penumbra? Asia's Got Talent 2015 winner and final results live announcement tonight, May 14, 2015, on AXN. Which among the 9 grand finalists will become the first Asia's Got Talent winner? The Philippines has 4 entries who made it to the grand finals. It could mean that the country has the strongest chance of winning, but it could mean the other way, since it will divide the Filipino votes. But I'm positive that Pinoy power is at its strongest tonight, and our 4 finalists have also got non-Pinoy votes, particularly the shadow play group El Gamma Penumbra, whose moving performance last night about Mother Nature has been getting much praises in whole of Asia, not only from their fans in the Philippines. Could El Gamma Penumbra be the first Asia's Got Talent Winner? 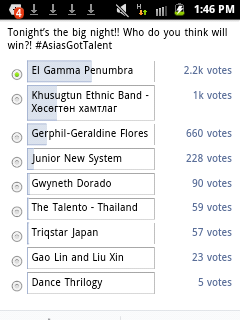 Unofficial poll being conducted in AGT's FB Page has this group from the Philippines as the top favorite to win, followed by Mongolia's Khusugtun Ethnic Band and the 3 other Pinoy finalists.